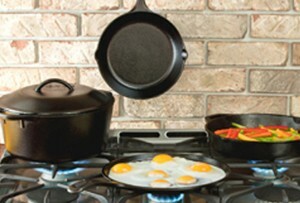 Lodge Elements combines premium Stainless Steel cookware with our traditional Cast Iron Skillet in one set. The Lodge Seasoned Steel line features Carbon Steel skillets that are American-made and seasoned at the Lodge foundry. 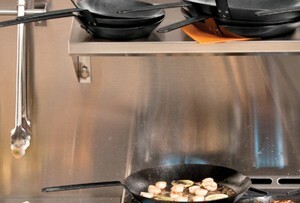 Lodge hopes to advance the culinary lives of chefs and campers alike with these brutally tough pans. As the only full line of American-made cast iron cookware, Lodge boasts quality that has been unmatched for over a century. 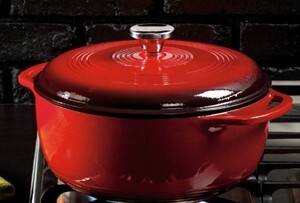 Even heating, a natural easy-release finish, versatility and durability are the hallmarks of our great cookware. We don’t just make cast iron; we make heirlooms that bring people together for generations. Lodge continues the tradition of quality American products with seasoned steel skillets. Made in the USA out of 100% carbon steel, these skillets hang tough in professional kitchens as well as the campsite. Just like our iron, we season them right at our foundry, so they’re ready to go! Lodge’s century-old tradition of excellence continues as we marry the benefits of cast iron with the beauty of porcelain enamel. Workhorses in the kitchen and show pieces on the dinner table, our enameled iron will become your go-to cookware. And with Lodge’s pledge to quality, it is sure to be a part of fond memories for many years to come. Our enameled cast iron is made to our strict specifications by our partner foundry in China.